Book Review / Favorite / Hauled! To be honest, I really didn’t want to read this book. I detest Leah to the very center of my bone marrows, and the last things I would want to do is find any semblance of humanity under her pretty red hair. 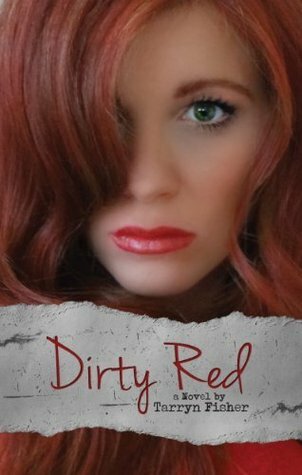 Reading Dirty Red still proves the literary genius of Tarryn Fisher and how well she can wield all these dark emotions to heighten the stimuli. The whole time I was reading Dirty Red, all I could think of was how vindictive and how really really intense Leah is. How she could throw away her life just to covet the one thing she so desires. She is a slave to her desires, that’s who Leah is. Initially, you would hate her for being such a heartless mother. And then later on, you find out how much worse she really is. But in the end of the book, once again Caleb tries to top whatever evilness Leah had in her bones. It seems to be that in this world they live in, it matters less how horrible the things you’ve done, because in the end, someone is going to top it with their own terrible decisions. It wasn’t so surprising to find out Leah’s final big gun, her last attempt to hurt Caleb. Maybe it was just me, but after everything she did for Caleb, it just makes sense. Also, the sudden entrance of Seth in the story foreshadows this event. Haha. Very entertaining though. I don’t know why that last scene between Caleb and Leah struck me hard, seeing as we all already know what happened in the last book, everything about Caleb. But that last scene was just powerful for me. I could almost feel sympathy for Leah. And to be honest I really hoped it would break her, not motivate her to be her self more. Gahd. That epilogue. I missed Olivia though. What little appearance she had in this book was as intense as her personality is, and that makes me miss her more. :) Also, Noah is too good for this book. Or not. I’m quite excited to uncover his dirt in the next installment. I do hope he plays a major role. And Seth, too. I just can’t wrap my brain around how Caleb and Olivia are so obviously meant to be together, and how the fates always play with them. Maybe the ease of the journey to True Love is inversely proportional to how much two people are meant to be together. In the end, I expected to finish this book looking at Leah at a whole new light. Well, maybe it gave her a very human background. But she’s still the evil vindictive Leah from book one. I also expected to find her a little easier to sympathize with, but I guess sympathy is for the weak in this series. And no one is weak in this series. They’re all made to cut throat. It’s so refreshing. The flaws of human beings at their finest.